HIT CHANNEL EXCLUSIVE INTERVIEW: December 2010. 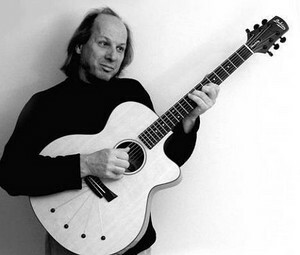 We feel privileged that contacted with the legendary guitarist Adrian Belew. Being in King Crimson since 1981, and former member of Frank Zappa, Talking Heads and The Bears, gives you a clue about his talent. Adrian heas a fantastic new album out, by his band Adrian Belew Power Trio, “e”! You should listen to it! Read below the important and wise things he told us. 2010 was a year of massive touring for you. Did you enjoy it? What feedback did you get from fans? Playing live has become a very important part of my life. I love touring with the power trio. some of the most excited fans this year were in south America. It was surprising to us because we had never played there. Congratulations for your latest solo album and the first as Adrian Belew Power Trio, the fantastic “e”! Was a difficult process to achieve this result? Do you think it should have received more recognition from listeners and press? It took me 3 years to write “e”. There was very little response from anyone, but I’m used to that. “e” is something that may take a while to digest. Is it more liberating now you are completely responsible for Adrian Belew Power Trio? Do you think that in compromises many great ideas get lost? The liberating aspects for me are A) being the only guitarist, which puts so much of the music in my hands and B) the band’s ability to improvise within song structures and to breath new life into my songs. I enjoy the responsibility and I do not compromise. After all, it’s my music. Is it possible to see The Bears active again in the near future? Do you wish to had dedicated more time to The Bears all these years? I wish all my favorite projects such as the Bears were so successful we could do as much as we would like, but that’s is not reality. Money is always the issue. The best we can hope for is another new Bears record someday, but there are no plans to do a record currently. Which are the latest news from King Crimson camp? Do you understand Robert Fripp’s decision to care more about his financial issues than with King Crimson? Robert has told me he cannot focus on music until at least 2012 and he is uncertain what he will want to do even then. I have assured him if he wants to do more work with King Crimson I will be there. I don’t question Robert’s decisions for himself. What was the most important thing you learnt when you worked with Frank Zappa? How to be a professional recording artist and a working international performer. Do you think today’s “progressive rock” is doing steps ahead or you think they have lost the point? Do think there is still “space” in music for a band to explore? Honestly I don’t listen at all to “today’s music”. I lost interest years ago. Most “new music” seems 95% derivative which is why I stopped listening. But I believe music and true artist’s interpretations of music is ever-changing and exploratory. What music do you hear this period? Are Radiohead one of the greatest bands of our days? I listen to the music in my head. I have never heard Radiohead but many of my friends say they are a great band. You have worked with many-many great artists. Is there anyone you’d like to work with and hasn’t happened yet? Maybe with Scott Walker? From the Walker Brothers? That might be interesting. I have lost track of his work but I liked that band a lifetime ago. What’s the one thing you wish you could change about America? If I could wave a magic wand I would make America the cultural center of our universe, devoid of all stupidity and ignorance. Have you ever been in Greece? Send a message to those who’ll read this.. Sadly I have not been to Greece but have heard it is truly beautiful. I go where my work takes me. But there is an easily accessible universe called the internet where anyone from anywhere can follow my music. 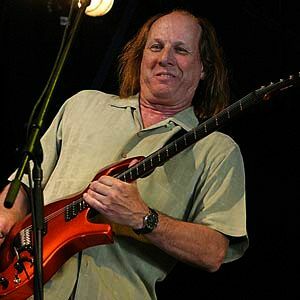 I hope all of your readers will join us at adrianbelew.net. Special thanks to the GREAT Adrian Belew. A dream just came true!